Meseria de ghid de turism si organizator de circuite nu se rezuma doar in a-i intampina si a-i insoti pe turisti oferindu-le tot felul de informatii pe traseu. In foarte multe cazuri se leaga prietenii frumoase mai ales in cazul grupurilor individuale (cupluri, familii, grupuri restranse de rude sau prieteni). In ultimii ani mi-am facut prieteni prin diverse tari ale lumii (Norvegia, Suedia, SUA, Canada, Franta, Spania, Anglia, etc); fosti turisti pasionati de calatorii si de a cunoaste noi oameni, culturi si civilizatii acestia imi scriu in mod regulat despre vizitele si experientele lor prin lume. 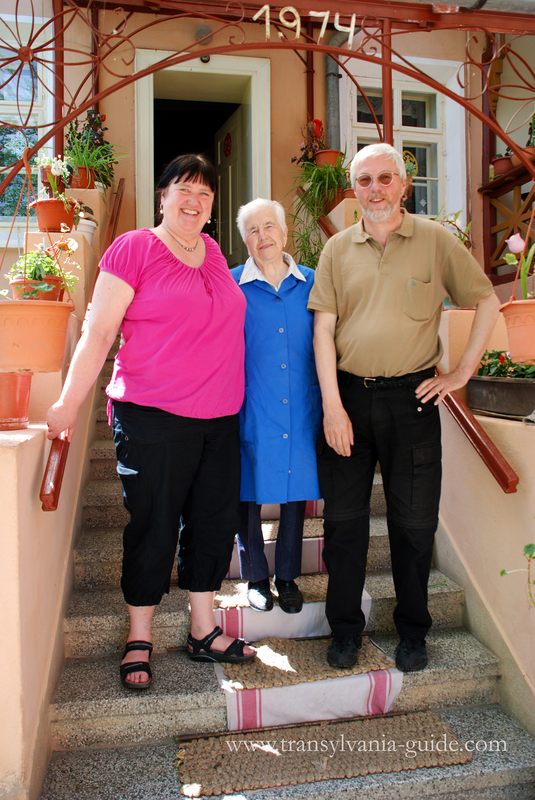 Sigrid and I are now in Timisoara since last Thursday and leaving tomorrow. We are staying at the hotel Timisoara right at the Piata Victoriei, a big business hotel so not very cosy, but perfect for Sigrid since she has a walking disability after an operation in her back that gave her some complications after the operation. The city has a lot of beautiful buildings, but as you told most in deeply need for restoration, but this has started now, so in a couple of years this city will look fantastic. To us it doesn’t matter, as we see the beauty behind the dirty and grey facades. But the people, the good food we ate, the very same that we found first in Transylvania, then in Bucharesti and now also here. We are really loving your country Adela. The people are so nice, helpful and kind everywhere, even at this big hotel. When we went to the art museum at Piata Unieri and we became impressed by your painter Corneliu Baba, standing and admiring his paintings, one of the guards suddenly came with an information leaflet in English! Behaviour like this we meet everywhere. I met a father with his daughter of about six or seven and came to talk with him, and she asked him why we were speaking so strange. He told her that’s because we are from a country far, far from the north. Sigrid and I wrote a greeting in the guestbook and I showed little Sofia our names in the book, and then she took the pen and slowly wrote her own beneath ours, whispered to her father and came over and said „Thank you” in English, and I replied with „Multumesc” and she smiled like the sun. Last evening I asked the reception if they knew some guy that could drive us around the outskirts of the city to get an overview, not a full guiding, just a look around, and the receptionist said he could do it! We also went to see the museum for the revolution and met the people there which gave us a very good information that deeply gave us some moving moments. 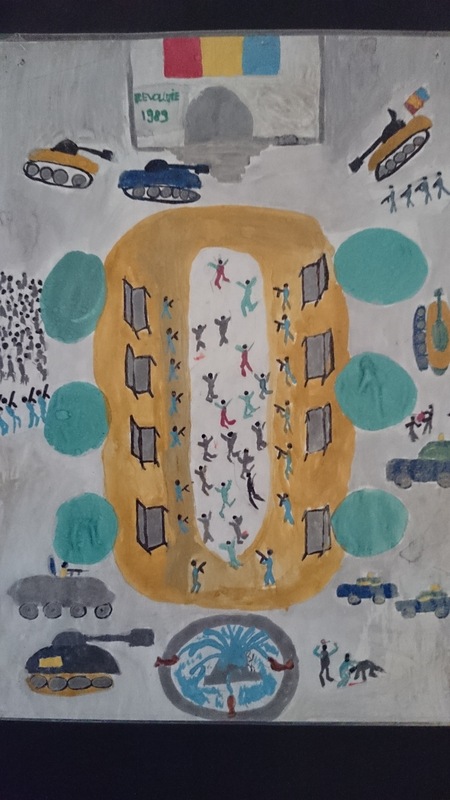 Especially the children’s drawings from the December 1989 really moved us in the heart and a very sad experience. This indeed is a place we want to visit once more when the restoration is finished, like we also look forward to visit other parts of your country. What confuses me is that Wizzair have Bucharesti as their only destination directly from Norway. In my opinion Transylvania has much more to show Norwegians, so what are they thinking, maybe is it a flight for Romanias who work in Norway? I tried to send an email to Wizzair about the idea of having a flight to Sibiu instead or on addition, at least in the summer season, but they didn’t even answer. I made a suggestion for the airport administration that Wizzair uses, I know these people through my work, and they think it is a great idea, but they alone have not much to say to Wizzair. As for now many regards from Sigrid and me!